Marketplaces and prices shown matched UPC number 887961435153 during our search. Birthday Wishes Barbie doll is excited to join your celebration! 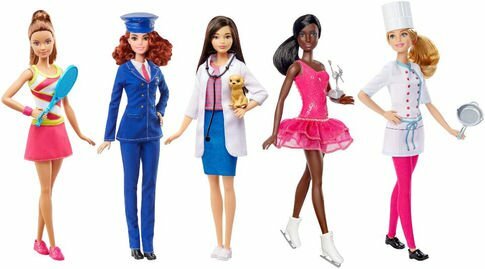 The perfect gift for Barbie fans of all ages to cherish on their special day! Happy Birthday! Your special day is here at last, and Birthday Wishes Barbie doll is excited to join your celebration. Her lovely party dress features pearly trim across the neckline with a shimmery bodice printed with petal and pearl artwork. The skirt is made of pink pleated tulle over blue taffeta accented with a dainty satin bow at the waist. Includes pumps with sculpted bows, pearly earrings and doll stand. 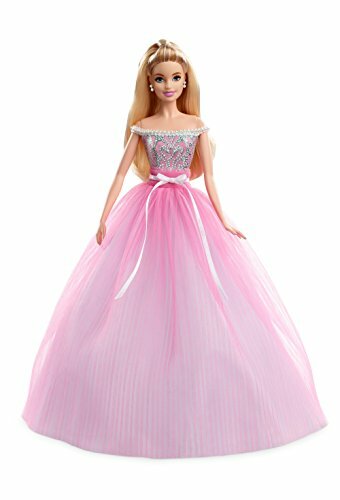 Birthday Wishes Barbie doll is the perfect gift for Barbie fans of all ages to cherish on their special day!